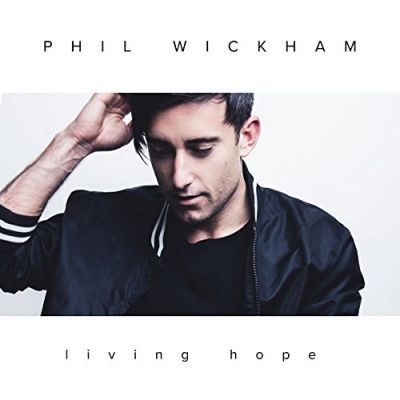 Living Hope, the newest from worship leader Phil Wickham is available today. The 13-track release includes Wickham's hit single and the album's title track, which has already garnered support from over 40 stations, including K-LOVE, SiriusXM, Family Life Network, Star 99.1/NYC, JoyFM/St. Louis, and Shine.fm/Chicago. "Till I Found You" is also currently being played on Hot AC/CHR stations around the country, including Air 1 and SpiritFM/Tampa. Both songs have garnered over 10 million streams combined since their release. Full of songs for the church to sing, critics are applauding Wickham’s worship inspired Living Hope with Hallels calling it "a treasure trove to mine as we search to express our worship in ways that are Biblically sound and musically accommodating" and The Christian Beat calling the album "[the] latest addition to his truly unique and celebrated collection. Wickham's genre leading storytelling abilities are again on display as he strikes a chord with the human heart and connects listeners with the Creator." New Release Today has named Living Hope it's Worship Album of the Year, adding that the project "provides listeners with songs that proclaim acceptance of God’s love in any circumstance...Every single song could be added to your Sunday morning worship set." 365 Days of Inspiring Media adds "This album is for anyone...who loves worship that's unique, fresh, emotive, powerful and heartfelt...standing tall amongst many of the worship album releases of 2018 thus far."